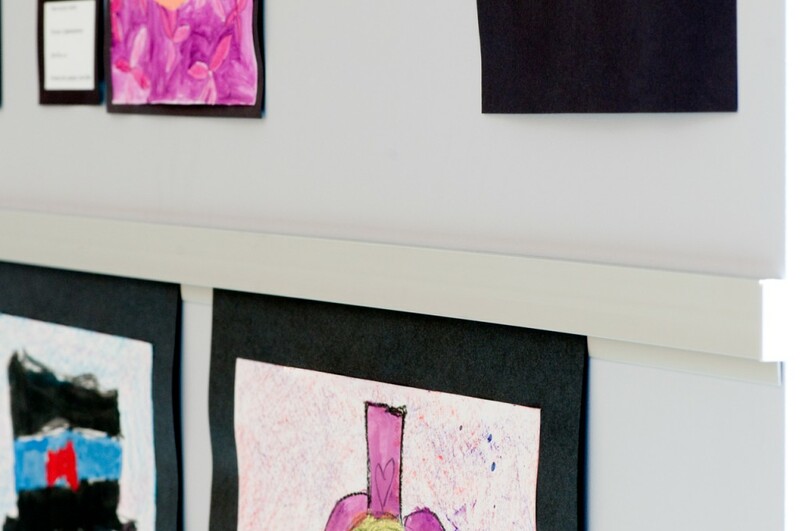 Children take great pride when their artwork is displayed at school. 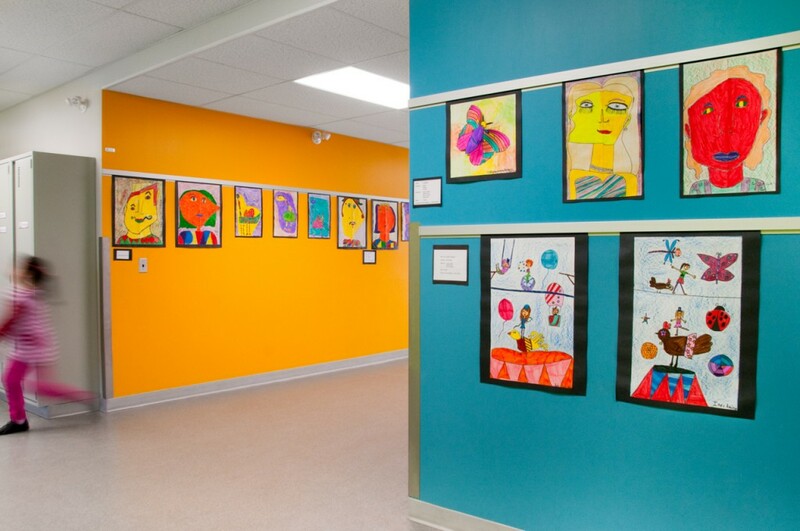 The art brightens up the walls and adds cheer to the environment. It makes parents feel proud of their little one's abilities to see their artistic creativity being shared with others. Unfortunately, with bulletin bars typically found in schools, this artwork can be quickly damaged as soon as it goes on display. Staples, thumbtacks, and sharps used to hang the pictures to the cork rail bulletin bars put holes into the pictures. That's not good! Not to mention how unattractive, and potentially hazardous, the use of cork rails can be. We've discussed some of these topics in our Cork Rail Fail post. 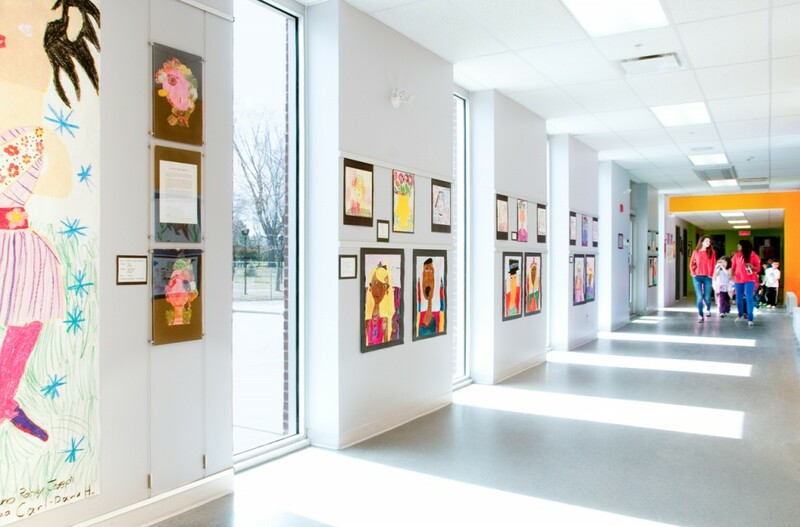 We have a solution to how to hang children's art without damage or concern of sharps in schools - Casso® Display Rail. 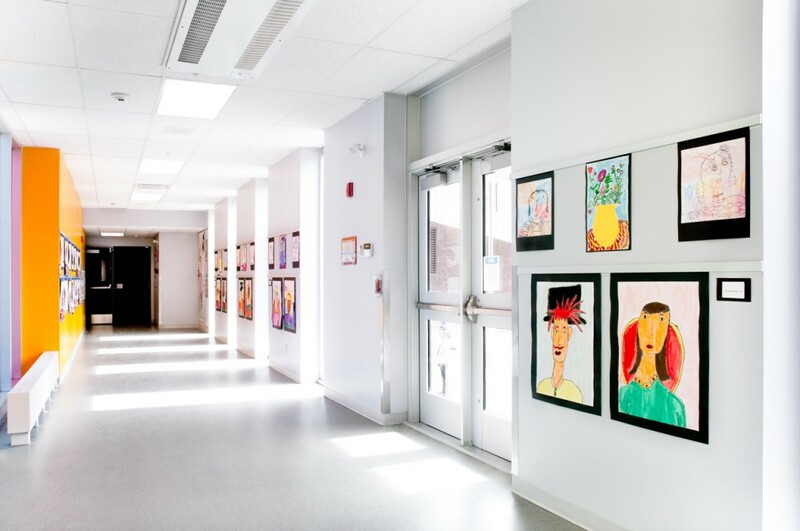 An elementary school in Quebec has implemented Casso Display Rail in their halls. 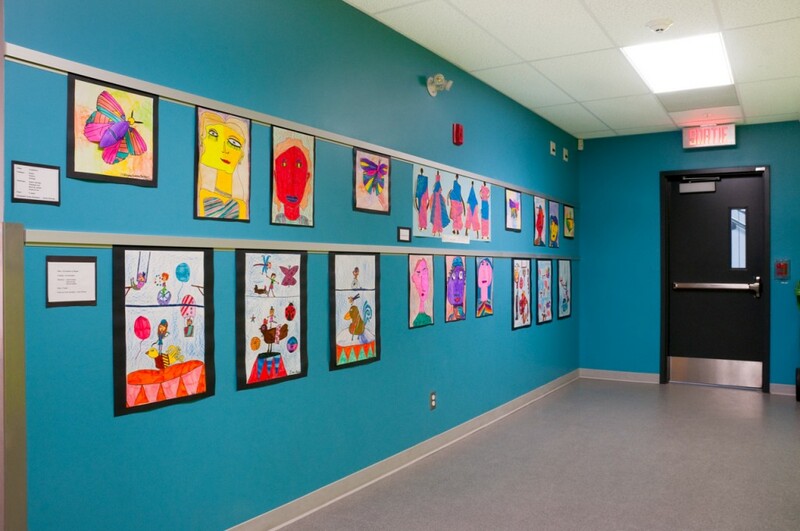 This creates a beautiful, clean, safe way of hanging the student's art. No sharps. No graffiti, and no damage to the art pieces. Let's take a look. 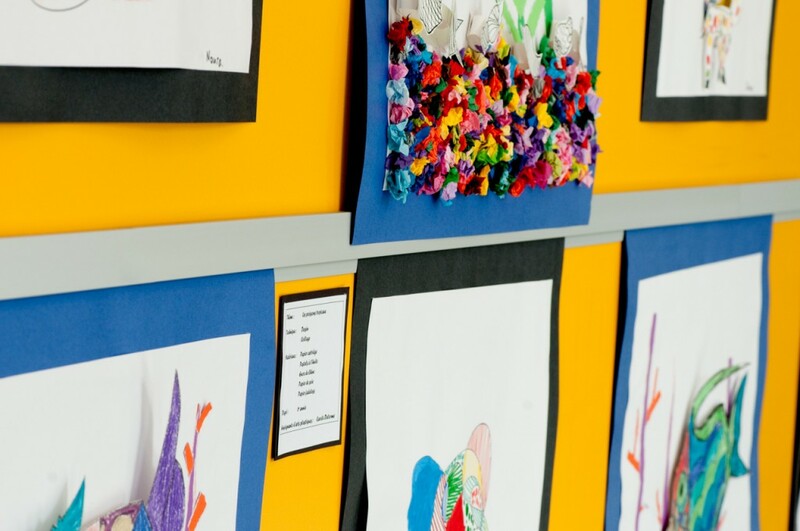 This close up view shows the students' drawings have been mounted to construction paper. The mounted art slips right into the bottom of Casso Display Rail without the need for any fasteners or sharps to hold the art in place. This is achieved through the clever design of this rail that allows for paper and thin-board items, up to 2 mm thick (1/16 inch). Both 2 ply and 4 ply mat board are compatible. 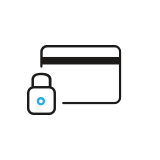 The wiper blade style of synthetic polymer ribs let sheets slide effortlessly into place, then keep them in place until the sheet is intentionally removed, again without effort or damage to the item. Another perk to this rail, and the fact that no fasteners are required, is you'll never need to locate a stapler or tacks, making the rail always ready for use. It is best to treat Casso Display Rail as any other architectural element. This application was done the right way, with multiple rails placed end to end with no breaks between them, so it creates a very functional, space saving, and visually appealing display. 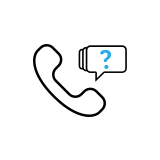 In the images below, notice that the rail runs the entirety of the wall and stops at the ends of each corner. This makes efficient use of the space, and shows the capped, safe ends of the rails. No rough edges for little fingers here. In the image below, an Acrylic Pocket system has also been implemented, creating a special showcase area. You can locate it just to the left of the left most window. This is a creative way of drawing extra attention to particular art pieces by displaying them within the acrylic pockets. 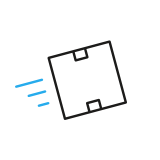 It is a fast and inexpensive way of "framing" them. Within this type of art hanging system, Click Rail Track is mounted to the wall above and below, with steel cables fitted with a Twist-End Cable Tensioner attached to the lower track. This makes a nice presentation, though alternatively the upper track could be mounted at the union of the wall and ceiling, offering an even more discreet appearance. 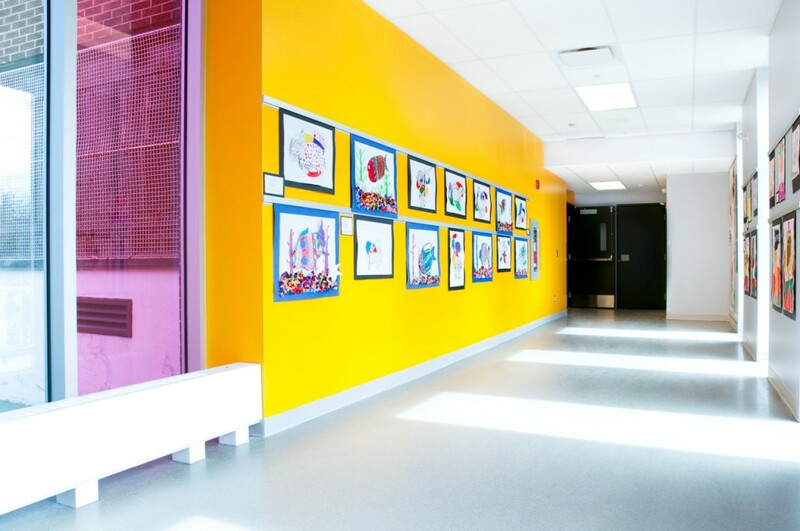 This elementary school has clearly taken advantage of Casso Display Rail's stylish, functional, and adaptable features. 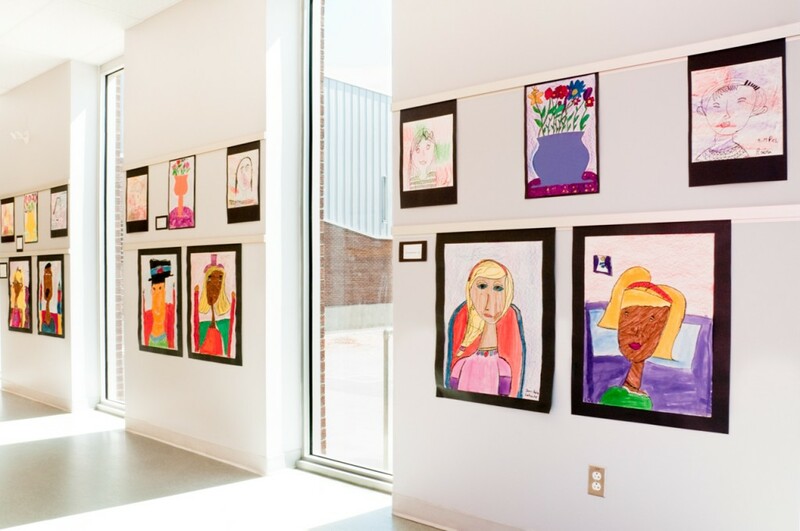 Art displays are changeable with little effort, and zero damage to the students' masterpieces. No longer are cork rails or bulletin bars practical or pleasing. These displays are inviting, keeping the focus on the art " not on the art hanging system " just as it should be. 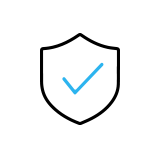 Accommodating various sizes and shapes of art pieces, as well as mounted and unmounted art can be showcased at will. 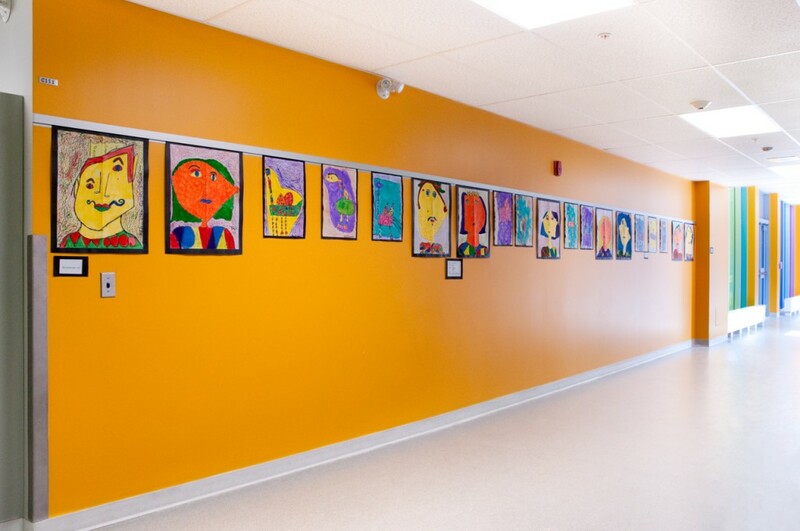 By implementing Casso Display Rail, it looks like this school is also showing its artistic creativity! 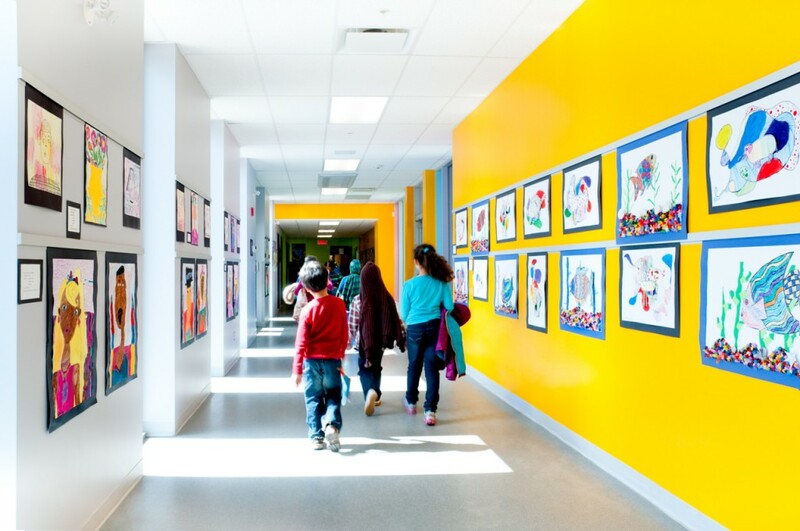 And be sure to check out how Casso Display Rail has been implemented in other children's art hanging systems in our articles. 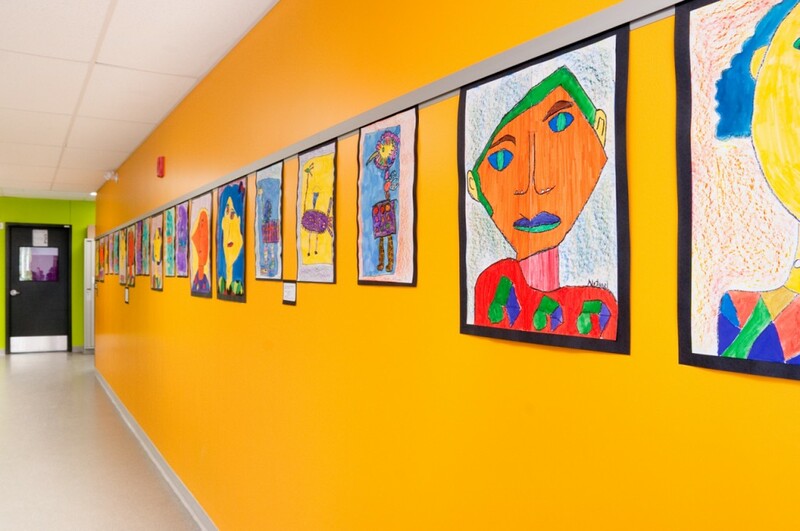 Could your school's hallways - and your students' art - benefit from a little Casso Display Rail update?